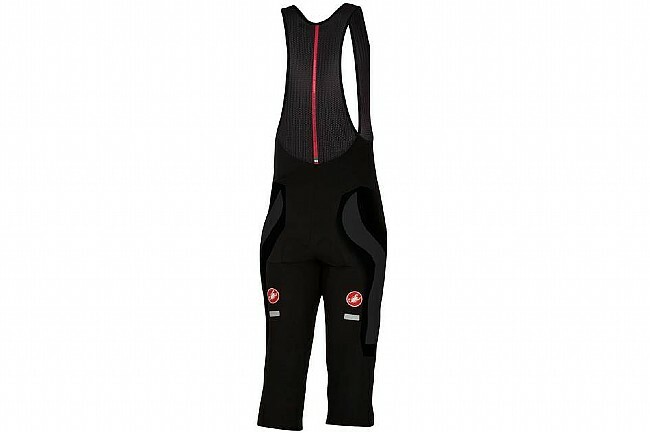 Castelli's mid-range Velocissimo 3 Bib Knickers feature top-notch performance without the hefty price tag. Constructed with plush fleecy Thermoflex fabric, these bottoms are toasty and luxurious from top to bottom with a fit that makes them feel like much higher-end kit. Mesh bib straps keep them secure up top, and a dual-density, anatomic KISS Air chamois inside provides all-day comfort and flexibility.